On the rights of non-Orthodox rabbis, where’s the outrage? Now that Israel's Chief Rabbinate has recognized Avi Weiss, where's the outrage over the rights of 4,000 other US rabbis? NEW YORK (JTA) – The good news is in: Rabbi Avi Weiss’ conversions will be accepted in Israel. I am glad to see that the religious integrity and leadership of Rabbi Weiss has been acknowledged. Undoubtedly, this course correction on the part of the Israeli Chief Rabbinate is due in part to the hue and cry of influential Jewish leaders, many of whom are not Orthodox, who are to be praised for speaking out. Of course, my conversions are not recognized in Israel. Nor are those of my 1,700 Conservative colleagues, my 2,000 Reform colleagues and my 300 Reconstructionist colleagues. The fact that Jewish leaders and major organizations are stepping up to address the issue of pluralism is a wonderful step forward and one that we should all applaud and encourage. But why does this only happen when an Orthodox rabbi’s character is at stake? Where is the statement on behalf of the nearly 4,000 rabbis and the 85 percent of Diaspora Jewry we represent when the derogation of our Judaism is black letter law in Israel? Leaders of Jewish organizations and public figures have criticized Israel in defense of Weiss, something far too few have been willing to do for the Conservative and Reform movements. This double standard was expressed stunningly by U.S. Rep. Eliot Engel. “If Rabbi Weiss’ credentials are rejected — an Orthodox leader with decades of experience — what does that portend for other strands of American Judaism?“ asked the New York lawmaker, who represents Weiss’ district in the House of Representatives. What indeed? To those who issued statements in defense of Weiss that were both bold and effective, I thank you. And I call upon you to now issue a statement for Conservative, Reform and Reconstructionist rabbis. Notify your board members and donors that the rabbis who married them, bar mitzvahed their children, buried their parents, and converted their sons and daughters-in-law do not deserve to be called rabbis in the eyes of the Israeli rabbinate. Tell them that none of their life-cycle events count and that the State of Israel does not really think they are Jews for religious purposes. The American Jewish establishment will not stand for the discrediting of someone known as an Orthodox rabbi. Better than nothing, I suppose, but far less than the Jewish public deserves. Where is the outrage for us? Has the Chief Rabbinate exported its hatred of the streams? Has the Israeli political leadership exported its willingness to ignore the mistreatment of the vast majority of the world’s Jews by an extremist minority? No one is asking any rabbi or Jew to hold personally by the interpretations of a community or a rabbi with whom they do not agree. But all must be equally respected and acknowledged. American Jewish leaders derive legitimate authority only on the basis of their integrity and willingness to seek and grasp the convictions of the people they represent. In my experience, the colleagues I serve with are dedicated beyond measure to these ideals. That is what has made this chapter so chilling. We are becoming invisible to ourselves. 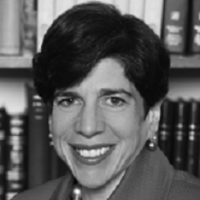 Rabbi Julie Schonfeld is executive vice president of the Rabbinical Assembly, the international association of Conservative and Masorti rabbis.